On Wednesday, March 20, 2019, at 7:00 PM, the John C. Campbell Folk School and NC Writers' Network-West (NCWN-West) will sponsor The Literary Hour. At this event, NCWN-West members will read at the Keith House on the JCCFS campus, in Brasstown, NC. The Literary Hour is held on the third Thursday of the month unless otherwise indicated. This reading is free of charge and open to the public. This month's featured readers will be, poet and author Natalie Grant, poet Joan M. Howard, and poet Mary A. Ricketson. Natalie Grant has spent much of her life in Western North Carolina and most of her career as the only high school language arts teacher at a rural k-12 school. She writes both fiction and poetry and is inspired by the landscape of her mountain home, its people, and the many storytellers in her family. Currently, Grant is writing short stories and a volume of poetry entitled The Language of Bones. Her educational background includes an MFA in creative writing from the University of the South's School of Letters, an MA in English from Western Carolina University, and a BA in History and English from Berea College. Grant is also a Rep for NCWN-West. Joan M. Howard, whose poetry has been published in POEM, The Road Not Taken: The Journal of Formal Poetry, the Aurorean, Lucid Rhythms, Victorian Violet, the Wayfarer and other literary journals. She published the book Death and Empathy: My Sister Web, in 2017. Her latest book is: Jack, Love and the Daily Grail, from Kelsay Publications. 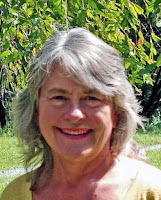 Mary A. Ricketson, Murphy NC, inspired by nature and her work as a mental health counselor, has poetry published in Wild Goose Poetry Review, Future Cycle Press, Journal of Kentucky Studies, Lights in the Mountains, Echoes Across the Blue Ridge, Red Fox Run, It’s All Relative, Old Mountain Press, Whispers, and Voices. Her chapbook is, I Hear the River Call my Name, and she has two full length collections, Hanging Dog Creek, and Shade and Shelter. Her new book, Mississippi: The Story of Luke and Marian, is forthcoming, 2019, from Kelsay Books. Currently Mary is using her own poetry to present empowerment workshops, combining roles as writer and her helping role as a therapist. Ricketson’s poems and activities relate with nature, facilitate talk about a personal path, and focus on growth in ordinary and unusual times. She writes a monthly column, Women to Women, for The Cherokee Scout, is a Certified Clinical Mental Health Counselor, a Rep for NCWN-West, and an organic blueberry farmer. For more information about this event, contact Mary Ricketson at: maryricketson311@hotmail.com. Meagan Lucas is nominated for the 2019 Pushcart Prize for her short story, "Voluntary Action." 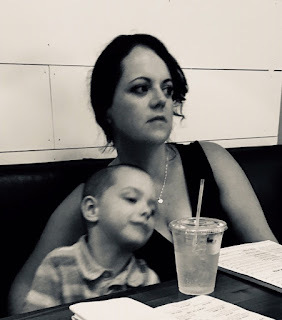 Congratulations to NCWN-West member, Meagan Lucas, who has been nominated for the 2019 Pushcart Prize, a prestigious American literary prize published by Pushcart Press that honors the best "poetry, short fiction, essays or literary whatnot" published in small presses over the previous year. Click on the link to go to http://www.stilljournal.net/ and read Meagan's nominated short story, "Voluntary Action." A Canadian who found home in Western NC, Meagan lives in Hendersonville with her husband and their two small children. Meagan writes literary fiction and teaches composition at AB Tech. Her work can be found in a variety of literary journals including:The Santa Fe Writers Project, The Penmen Review, The New Southern Fugitives, Embark Literary Journal, Attic Door Press and Barren Magazine. Her story “Kittens” is the 2017 Winner of the Scythe Prize for Fiction. Family life, the grey space between right and wrong, and the dark underbelly of the American Dream figure prominently in her work. You can read more at: www.meaganlucas.com She tweets grudgingly @mgnlcs. When she's not writing or teaching, she likes to bake and haunt bookstores. Please review these guidelines before submitting a nomination. Download the nomination form here. Only chapbooks and books published within the 2017 calendar year (January 1 to December 31) are eligible. Traditionally published or self-published books are eligible, as are electronically published books on a major platform (Kindle, Nook, or iPad), for a fee of $60. For electronic books, a URL and ISBN must be provided as well as one print copy of the text for judges to review. Books will not be considered nominated if any of these guidelines are not met and materials and payment are not postmarked by February 12, 2018. First- and second-place winners will be announced at the Georgia Author of the Year (GAYA) ceremony on June 16, 2018. A book may be nominated in only one category selected by the nominator. Cookbook—Books that contain a collection of recipes, techniques, or focus on the exploration of food, cooking, and culture of food. Inspirational—Books on topics in self-help, life improvement, motivational, religious, or spiritual. Specialty Book—Books that include a visual element such as art or photography. Children’s Book—Books written for ages 9 and younger by a single author (and/or illustrator). A children’s book includes picture books and can be fiction or nonfiction. GLBTQ—Works produced by or for the GLBTQ (gay, lesbian, bisexual, transgender, queer) community and can be fiction, nonfiction, or poetry. Graphic Novel—A narrative work where the story is told not only through words, but also sequential art and can be fiction or nonfiction. Young Adult—Books written for ages 10 and older by a single author (and/or illustrator), and are either fiction or nonfiction. If a category has fewer than four nominees, authors will have the opportunity to move their books to the next best category. For example, if there are only two books in the Romance category, the authors will be notified and may choose to place the book in the Literary Fiction category. If the author decides that no other category is suitable, the nomination fee will be refunded. The Georgia Writers Association reserves the right to not award a winner in a category if it is determined that none of the nominations should win. If no winner is selected due to a lack of sufficient nominations in a category, the nomination fee will be refunded. However, if the category judge determines that a category has no first– or second–place winner, the nomination fee will not be refunded. One of my dear friends and a member of Netwest for many years, is Nancy Purcell. She has been a devoted representative for Transylvania County throughout those years. Today I am happy that one of her stories was accepted by Valparaiso Fiction Review. Nancy said she had submitted this story many, many times to other magazines, but she didn't give up. She believed in her story, The Unwrinkled Heart. It will be in their Winter 2015 issue. "I loved this story and put my heart in it and was determined for it to see print! There's a saying, It takes a lot of eyes before the right ones see your work." Submissions to VFR should be original, unpublished fiction. Submissions should range from 1,000 to 9,000 words with possible exceptions. Please use 12 point font, double-space, and .doc, .docx, or .rtf formats. Please include name and email on the first page of each submission. Please no novels, poetry (see VPR), or children's fiction unless otherwise noted. Excerpts from novels are acceptable only if selected piece operates as a stand-alone story. Simultaneous submissions are accepted, but the author should notify VFR immediately should a submitted piece be accepted elsewhere. Response time for each submission is 3-4 months and will be sent electronically. Only stories submitted through VFR Submissions page will be considered. Please, no paper submissions. There is no submission deadline. Submissions are considered on a rolling basis. When VFR accepts a piece of fiction for publication, we are purchasing first-serial publication rights. To submit fiction, one must setup a user account via Submissions. For any additional questions, please contact one of the VFR editors, at vfr@valpo.edu. Congratulations to Nancy who lives in Brevard. 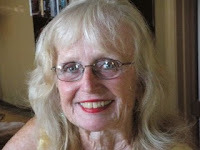 She is a teacher and fiction writer with a number of publications under her belt.